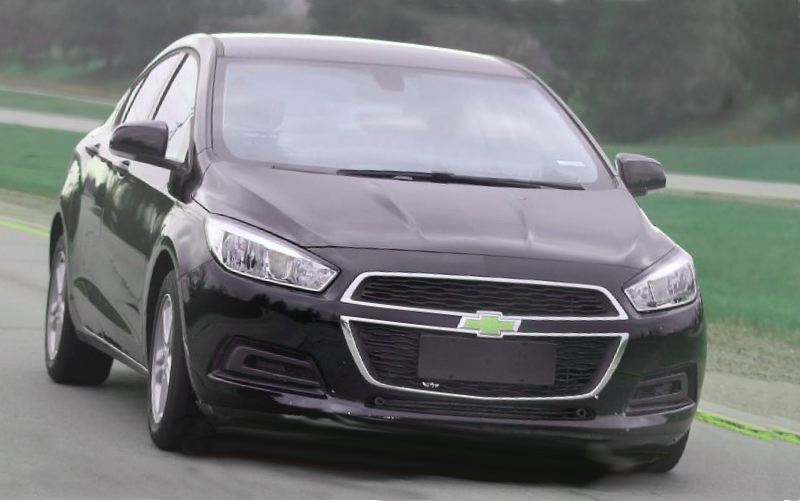 For those of you not up on the most recent Chevrolet Cruze sedan, there are really three variations now in the news. There is a shortlived facelifted 2015 version for the U.S., plus two variations of the next-generation 2016 version, one for the Chinese marketplace and one for us, which is shown here almost undisguised. The face of the auto spotted here is not substantially distinct from that of the Chinese version, but it does tie in more to the U.S. vehicle line. The also relates better to the rear end and mimics that. The body styling is the same tidy, if pretty vapid, layout shown in Beijing. It is worth noting the cars pictured here seem to be lower level trims, as they are missing LED daytime running lamps and the HID headlamps found both on the Chinese debutant together with the Cruze we spied. The Cruze is a huge-selling car both in America and internationally, so getting the next one right and maintaining that momentum is crucial. The exceptional front end additionally demonstrates the General is tailoring the car's look to the marketplaces in which it'll be sold. We do not expect to see many more variations of the nose harvest up, but it is pleasant to see GM avoid taking an one-size-fits-all strategy to styling. Stage: The Cruze cruises along on GM's adaptive Delta II stage, which underpins many a compact car for example, Buick Verano, in the General. Powertrain: The remaining line will probably embrace GM's new little-engine structure; in Beijing, the Chinese auto showcased a more strong 1.4-liter turbocharged four-cylinder and a naturally aspirated 1.5-liter four. Estimated Entrance and Cost: Pricing will stay close to that of the present version, which begins under $20K.